Please feel free to download and use any of the resources on this page - if you take any photos of them in use at an event, we'd love to see them. These stickers are designed to be printed as 150mm X 150mm clear circular stickers, but are vector files so can also be printed at larger sizes. 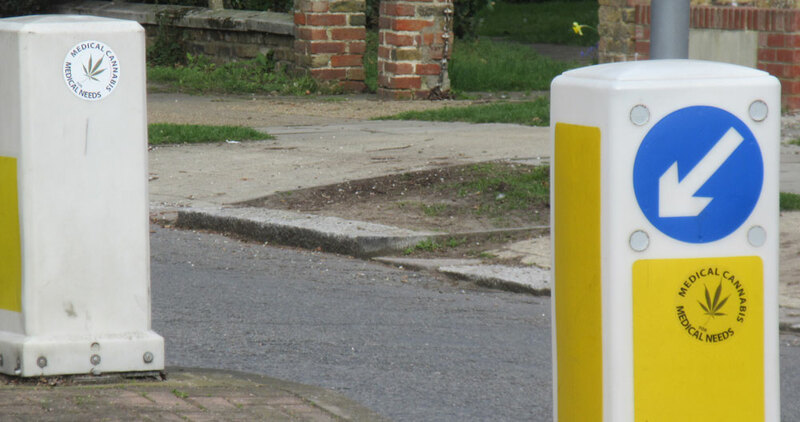 Photographs are examples of where these stickers have been seen - we would like to point out that this is not necessarily legal and may be considered fly-posting. Obviously, we wish for these to be seen, but it is up to customer discretion as to where they place them. 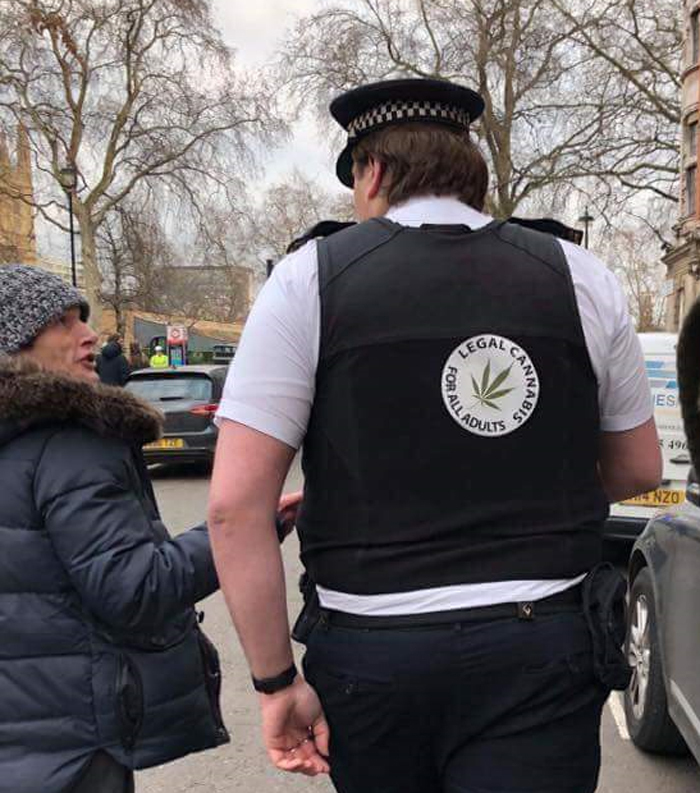 Victoria Atkins, the UK Drugs minister, strongly opposes Cannabis law reform, and claims that Cannabis has no medical benefit. 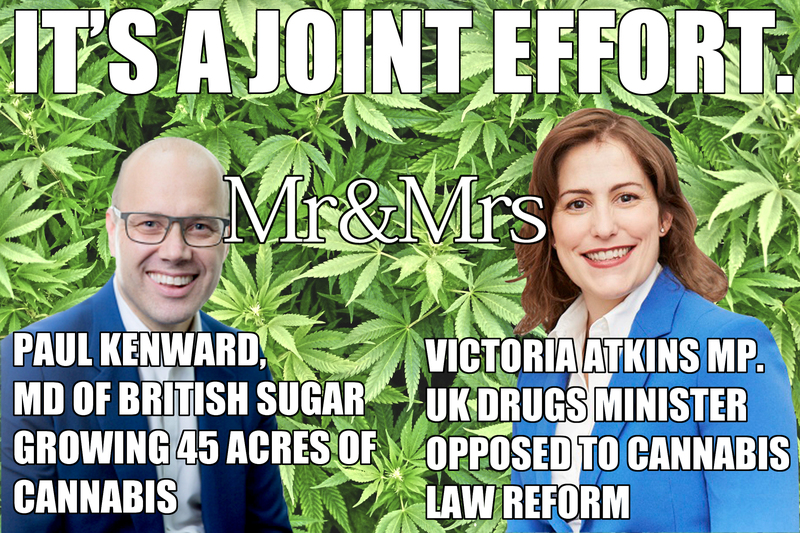 Meanwhile, her husband's company is growing 45 acres of Cannabis for GW Pharmaceuticals Sativex medication. 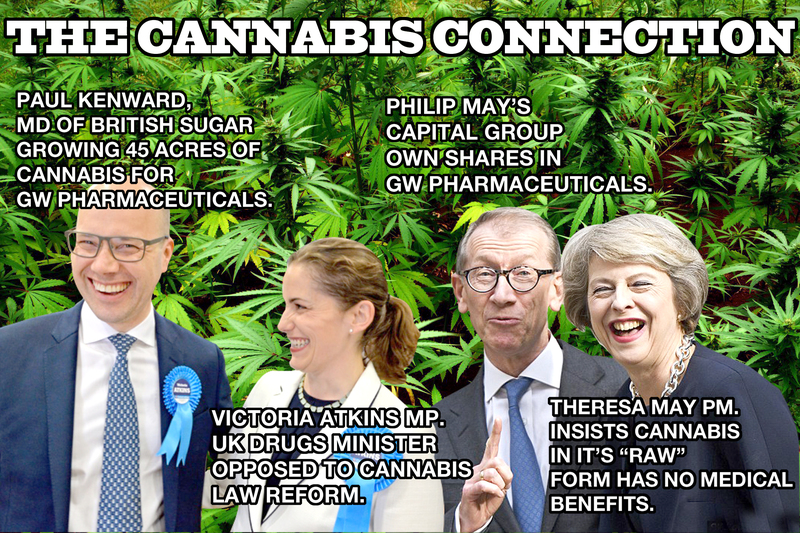 The Prime Minister's husband, Philip May, owns shares in GW Pharmaceuticals through his Capital Group. 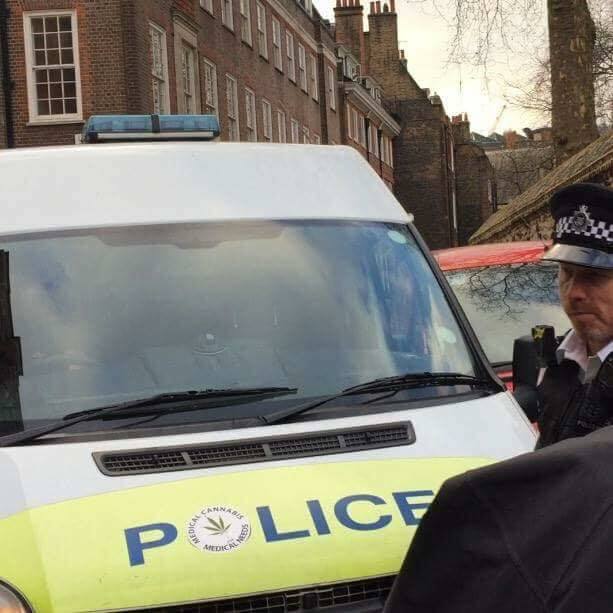 GW Pharmaceuticals produces the only currently available cannabis-based medicine, whilst Theresa May and her government fail to consider reform of Cannabis laws which would allow more research and greater access to Cannabis as a medicine.